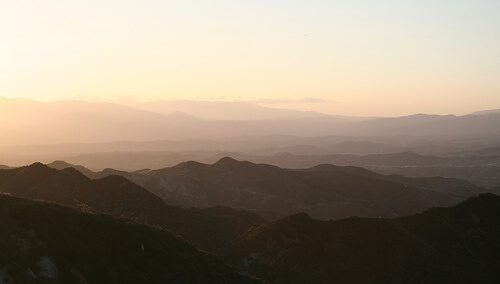 Established in 1892 by President Benjamin Harrison and expanded in the many years since, Angeles National Forest lies less than half-an-hour north of Los Angeles, California. Containing 10 lakes, 240 miles of streams, and more than 50 trails, the Forest offers numerous wilderness recreational opportunities. Although its vicinity to the Los Angeles area makes it perfect for a day trip, perhaps to one of its many picnicking areas, the Forest also offers numerous campgrounds for longer stays, with a wide range of accommodation options. Sightseers may be interested in the Mount Wilson Observatory, located within the Angelest Forest, a historic site of astronomy founded in 1904 by George Ellery Hale. Other historical sites include the Mount Islip and Vetter Mountain Fire Lookout Towers. Avid hikers and climbers might be interested in visiting Mount San Antonio, fondly referred to as "Old Baldy", as it is the highest peak in the State, quite the local landmark. Of course, as with most National Forests, be sure to visit one of their three Visitors Centers, each offering a unique, guided look at the wildlife and plants found in Angeles National Forest. Last updated by Timothy Milligan on 01 March, 2010 in Destinations.